The gel prevents the appearance of dark spots or blackheads, while also controlling the secretion of sebum. It doesn’t affect the skin’s hydrolipidic film, while acting as an efficient cleaning agent, removing impurities and make-up. This silky gel uses solely natural ingredients, such as aloe vera, purified water, propolis, proteins extracted from sweet almonds and other 100% natural plant extracts. 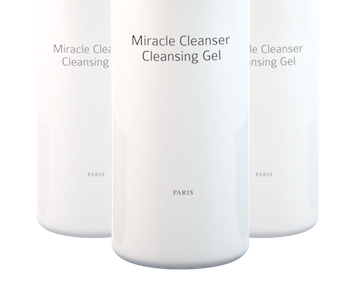 It effectively cleans all types of skin: normal, greasy, sensitive or mixed. To apply, massage on the desired area on wet skin, and then wash away with water. You should do this regularly, in the morning and in the evening. Because make-up removal must be a part of your beauty ritual and because it is also the first step to a healthy, glowing skin, you must pay a great deal of attention to any cosmetic products you may use, always looking for natural solutions. Daily use of natural cosmetics for make-up removal and cleansing will make a big difference for the skin and will ensure a smooth, in-depth cleaning of the pores. 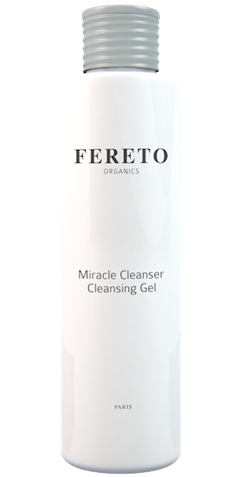 The Miracle Cleanser Gel is part of Fereto’s organic dermocosmetics collection, created together with dermatologists and chemists from laboratories in France and bio-certified by Qualité France. Fereto guarantees respect towards the environment as well as towards our clients, through every aspect of their production process. 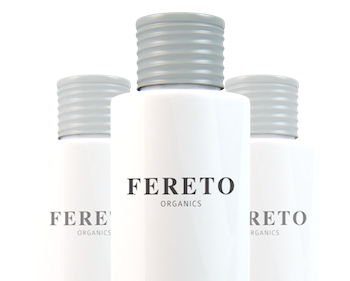 The Fereto products are made from 100% natural ingredients, have not been tested on animals and their packaging is made from biodegradable recycled materials. We have witnessed incredible results with clients suffering from eczema, dermatitis and rosacea. 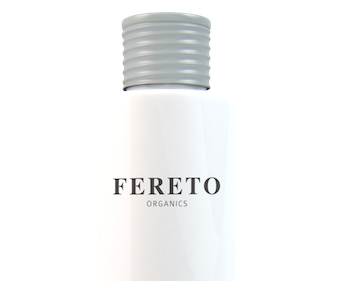 The Fereto Organics products have not been formulated to treat these particular skin conditions, but clearly pure ingredients bring an endless list of benefits!